Compass Launches Another Real Estate First! Last month, we dedicated our Monthly Update to truth transparency in the real estate market — specifically we talked about how difficult it is to find reliable, up-to-date information for sales listings. Super simple data such as the listing agent is buried under fake, bait-and-switch advertising on sites such as StreetEasy, Zillow, Trulia and more. In fact, many publicly available real estate websites say they’re geared toward consumers, but these money-making schemes make it clear they are not. They are only concerned with their bottom line, their shareholders and their rapid expansion. This battle is being waged primarily over listing data. The entity that controls the listing data controls the market. But the direction Zillow’s tactics take ultimately harm consumers, real estate agents and the bigger picture of what an ethical, above-board real estate market looks like. Enter Compass. From its very origins, Compass has adhered to a total commitment to truth and transparency in real estate — and we always will. In fact, just last week, Compass made the bold move to counteract the effects of those who are attempting to seize control of the industry. Compass will now do what no other larger real estate agency ever considered — list all properties on the Compass website. By putting every single listing on our site and including the listing agent’s contact info (no matter the firm!) Compass has taken the first step in putting the buyer’s needs above all else! Head to Compass.com today. All the information you need is right there for you to browse (without having to register anymore!). You’ll find every single New York City property from all of our competitors, peers and friends. All listings have current and up-to-date info fed directly from the Real Estate Board of New York's (RLS) system straight to you. By now, hopefully you know that Compass is more than a real estate company. It’s your real estate search engine. It’s about you, the consumer. We’re pleased to give you all the tools you need to find and purchase your home, because we know that “home” is everything. At Compass, and especially on The Hoffman Team, we’re dedicated to helping you find your place in the world. We're proud to announce that Real Trends has named Compass the #1 independent real estate brokerage and the #3 brokerage in the US! We’re excited to announce that Contactually, a technology company that has built industry-leading CRM software, is joining our family! With this addition, Compass will continue to empower agents through a dedication to best-in-class tech. 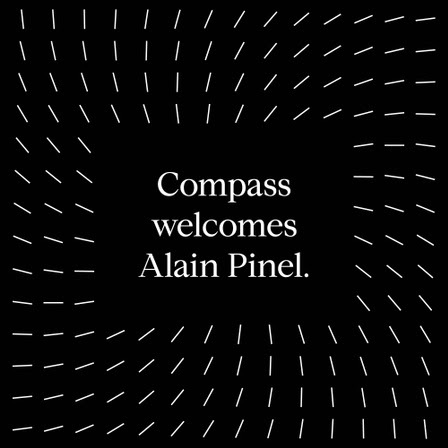 We're equally thrilled to partner with Bay Area brokerage Alain Pinel! Sharing our values of collaboration, hard work, and entrepreneurship, this accomplished team represents a wonderful and welcome addition to the Compass community. Celebrate spring at The Orchid Show, which fills the conservatory at the New York Botanical Garden with thousands of orchids in an amazing array of colors, shapes, sizes, and textures. Closed on Mondays except April 22. For more information, click here. A New York pastime, the Tribeca Film Festival features films, music, and cultural events in Lower Manhattan. Sales inventory decreased 1% in the month of February and increased 14.6% year over year. Apartments in contract increased 5.2% in the month of February, and increased 3% year over year. Monthly contracts signed increased 7.4% from December to January, and increased 7.9% year over year.